About Rogelio H. Message Rogelio H.
Terrific tour. Rogelio very informative and kind. Highly recommend. TOUR GUIDE RESPONSE: I am glad you enjoyed the tour, Thank you very much for your comments. I hope to see you next time you come back. Our guide Rogelio was terrific. We spent two fabulous days together touring both the pyramids outside of Mexico City and a wonderful city tour our Second day. TOUR GUIDE RESPONSE: I am so happy you enjoyed the tours, it was great to meet you all and hope to see you next time you come back to Mexico. Thank you! I enjoyed this tour very much. It was an amazing experience visiting Malinalco with Rogelio! Not only was the archaeological site amazing, the flora was spectacular and the scenery beautiful. Besides the Ancient indigenous sites Rogelio a took me to visit the market in Malinalco to sample the delicious food, the beautiful museum in Malinalco, and the mountainous area where mescal is brewed. This was a fun and adventurous tour and Rogelio is an excellent guide. I look forward to taking more tours again. TOUR GUIDE RESPONSE: Thank you ver much for your words Michael, I am happy you enjoyed the tour in this beautiful town, the local market, food, the Mezcal and the mountains. I hope to see you next time. Rogelio was very responsive, helpful, and flexible as we planned our day beforehand. He was right on time and is a super-good and calm Mexico City driver. 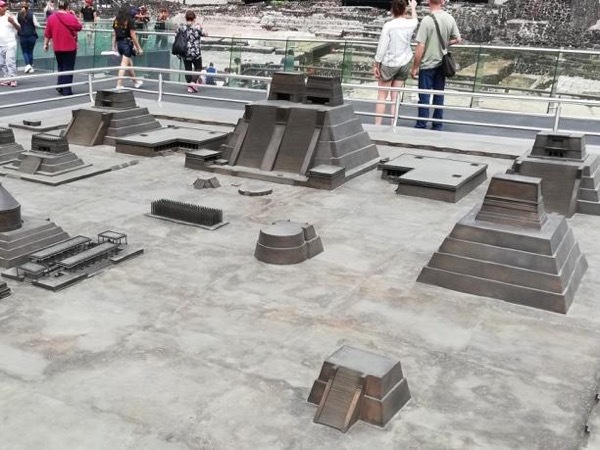 He was well prepared to satisfy a great deal of our curiosity about Teotihuacan, in excellent English. He was never rushed or pushy, yet helped us make good decisions about where to spend time on the site and hidden treasures. Rogelio guided us to a truly wonderful (and un-crowded) little eatery afterwards. He gave us a day we won't forget, thank you! TOUR GUIDE RESPONSE: I am really glad you enjoyed the tour and thank you very much for your comments, I will be here when you come back to spend more time seeing more of Mexico. Hope to see you soon! Rogelio was amazing! He was on time. Friendly. Fun. Easy to communicate with. Impeccable well kept car. Knowledgeable. We had an incredible 5 hours with him enjoying history, museums, temple ruins and an amazing lunch. Can't recommend him enough! Thank you Rogelio! TOUR GUIDE RESPONSE: Thank you for letting me share this few hours in this special day with you, I am really happy you and your husband enjoyed it. See you next time! Rogelio was an outstanding guide! He allowed us to customize our tour of Teotihuacan. My wife and I enjoyed our conversations about history and a shared love of travel and food. After learning of our adventurous spirits, Rogelio suggested skipping our planned 'tourist' meal and we jetted off to a local market where we took in the real Mexico City. The sites, sounds and tastes of the local people and market were the highlight of our tour. Book with Rogelio! Adiós hasta la próxima! Rogelio is a charming, knowledgeable and obliging young man. Also he is an excellent driver one of the best I've travelled with. On a star rating 6 out of 5! If we are ever back in Mexico City we will book him again! TOUR GUIDE RESPONSE: Thank you so much for your words, I am glad you enjoyed it, I will be here when you come back. See you next time. Rogelio was TERRIFIC! Picked us up exactly on time and left us off (exhausted) at the airport. Very knowledgable, great pace, VERY accommodating...tour catered to our interests. Would definitely book with him again! TOUR GUIDE RESPONSE: Thank you so much for your words. It was very nice to meet you, hopefully you are coming back soon to see more of Mexico. See you next time. We thoroughly enjoyed our tour with Rogelio! He arrived on time, was a very safe driver and made us feel comfortable. He was quite knowledgeable about the history of Teotihuacan, and we saw so many amazing things! I would highly recommend this tour and also our guide, Rogelio. Thanks again! TOUR GUIDE RESPONSE: Thank you for your words, I am glad you enjoyed it, it was very nice to meet you and my pleasure to be your guide. See you next time! 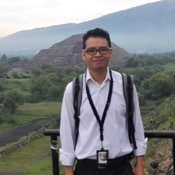 Wonderful tour of Teotihuacan with Rogelio! Very friendly and informative guide who had a real enthusiasm for the site. As well as the main attractions, he also picked up on my interest in any original mural decoration at the site and showed me around lots of them. The extra bonus at the end was another set of murals at the end which are close by but not actually within the site - wonderful! Tour and guide highly recommended. TOUR GUIDE RESPONSE: Thank you very much, I am glad you enjoyed your trip in México and our culture. Happy holidays and see you next time. TOUR GUIDE RESPONSE: Thank very much, I am glad you have enjoyed it, I also had a great time and it was very nice to meet you. Happy holidays! See you next time. My wife and I can recommend this tour in the highest terms. Rogelio was exceptionally helpful and attuned to our needs. He met us as planned in a very comfortable car, helped with our bulky luggage, and returned us to the airport in good time for our flight home. He has superb English and a great knowledge of the Teotihuacan site, showing us a number of places off the usual tourist track. Worth every penny and a wonderful way to spend your final hours in Mexico. TOUR GUIDE RESPONSE: I was really my pleasure to meet you and to have had a great time with you even it was a short time, I hope you come back soon. Thank you very much. Best regards. Rogelio was an awesome tour guide. He picked me up on time and drove me to Teotihuacan. His car was clean and he was very nice. He had water and explained the history behind this amazing site. Definitely a great day. Thank you Rogelio. TOUR GUIDE RESPONSE: Thank you for letting me share this little part of Mexican history and I am so glad you have enjoyed everything. It was great to meet you, hopefully you are coming back to see the rest. See you next time. A great tour that cuts out the silly side shopping stops. Rogelio was so kind, friendly and very knowledgeable. We could decide if we wanted to climb or walk more and what to see. Highly recommend this tour and Rogelio. TOUR GUIDE RESPONSE: Thank you very much for your comments, I am so happy you have let me share this experience with you and have enjoyed the tour. I was my pleasure to be your guide. I hope to see you again to show you more of México. Excellent tour with an amazing tour guide! Rogelio was excellent- very informative and flexible to our requests. We were picked up from our hotel and after the tour were dropped off at the airport. We had a fun and interesting tour. TOUR GUIDE RESPONSE: I am happy you have enjoyed your first visit to México and the tour. It was very nice to meet you all. Warm greetings. See you next time. Fantastic tour. Very complete, informative fun and well organized. I would definitely recommend this tour. Thanks Rogelio! TOUR GUIDE RESPONSE: Thank you for letting me share this experience with you. See you next time. Rogelio arrived right on time and provided us with a very informative tour around Teotihuacan. We enjoyed the excursion and would use him again the next time we are in town! TOUR GUIDE RESPONSE: I am glad you have enjoyed the tour, it will be my pleasure to be your guide when you come back. See you next time. Thank you. Great quick tour, perfect to get an impression of the historic center! TOUR GUIDE RESPONSE: Thanks for letting me show you this little piece of México, I hope you come back to see the rest.